How does an acorn know to fall when the other acorns do? What triggers insects, or disease, to suddenly break out over large areas? Why do fruit trees have boom and bust years? The question of what generates such synchronous, ecological “flash mobs” over long distances has long perplexed population ecologists. Part of the answer has to do with something seemingly unrelated: what makes a magnet a magnet. A study by scientists at the University of California, Davis, found that the same mathematical model that’s been used to study how magnets work—a well-known concept in physics called the Ising model—can be applied to understanding what causes events to occur at the same time over long distances, despite the absence of an external, disruptive force. The work, published in the journal Nature Communications, provides new ways of measuring synchrony in ecology, which has broader implications for things like extinction and disease. What does all of this have to do with the magnets? 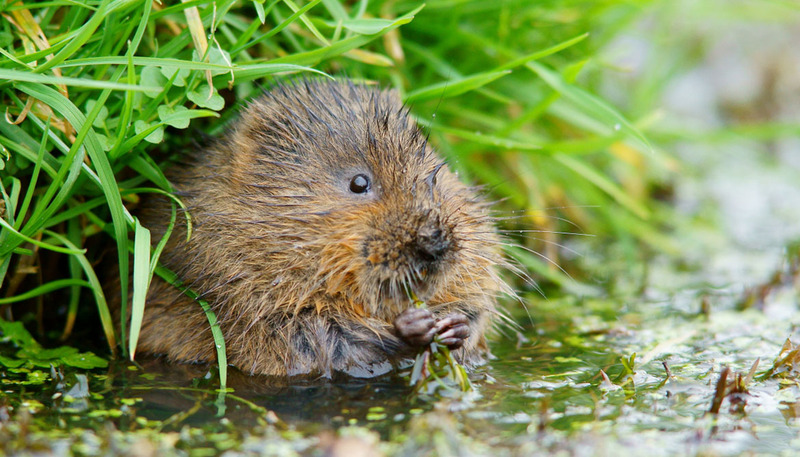 Consider the vole. That effect can be explained by the Ising model of ferromagnetism, according to the study. The authors show how long-range synchronization can arise directly from short-range, local interactions—just as atoms in magnetic materials can align to produce a magnetic field. Take, for example, fruit trees. Every few years certain trees bear exceptional amounts of fruit or nuts in between years when they produce almost none in a poorly understood process called masting. The National Science Foundation’s INSPIRE program funded the work. Jonathan Machta of the University of Massachussetts-Amherst and the Santa Fe Institute is a coauthor on the paper.